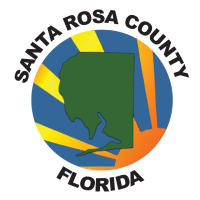 The National Association of Counties (NACo) has selected Santa Rosa County to participate in a new assistance and training program focused on strengthening gulf coastal counties’ resilience. The three-year program aligns with the NACo's focus on strengthening the ability of counties to handle extreme weather events and climate-related hazards. The county’s team includes county staff and partners from the West Florida Regional Planning Council, Northwest Florida Water Management District and Gulf Power. In 2017, major disasters were declared for more than a quarter of the nation’s counties and parishes, and 16 disaster events across the U.S. resulted in losses exceeding $1 billion, including three tropical cyclones in the gulf. Over $306 billion in total damage was caused, $265 billion of which is attributed to hurricanes Harvey, Irma and Maria alone. Santa Rosa County has been included in 12 disaster declarations since 2004. In October 2018, Santa Rosa County staff will join the three other chosen counties to participate in a coastal resilience training and peer exchange workshop in Baldwin County, Ala. Teams will leave the workshop with an implementable action plan as well as an improved understanding of the types of resources available to help to prepare for, respond to and mitigate against natural hazards. Continued assistance will follow the training as participants implement resilience strategies. A follow-up clinic will be held in October 2019, where teams will present on progress, identify opportunities for further collaboration with the cohort, and receive additional trainings by experts in the field.